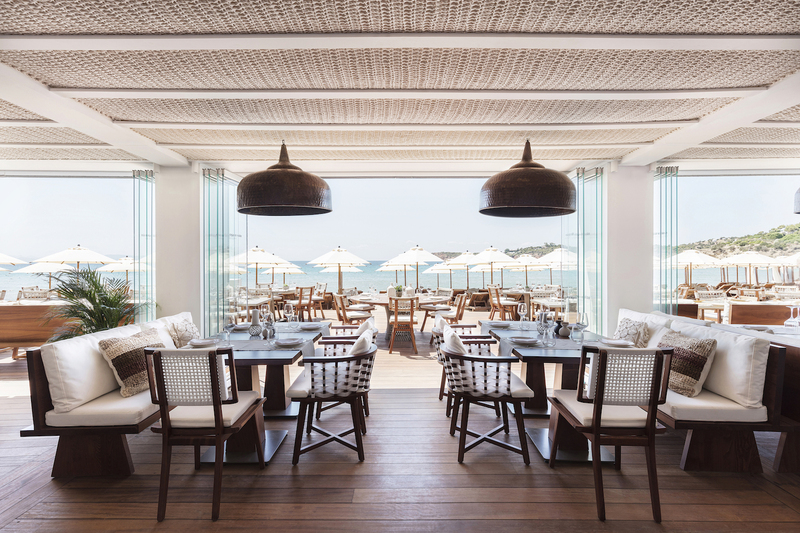 Nice-n-Easy Seaside is a beachfront enclave and restaurant that will debut in May 2018 in the Athens Riviera situated on Astir Beach, the Greek capital’s most iconic location. The ‘destination within a destination,’ Astir is the epicenter of the Athens Riviera, a playground for the Athenian and international elite located just 30-minutes from Athens’ city center. Nice-n-Easy Seaside brings the restaurant group’s signature sustainable farm-to-table ethos with a menu of elevated Mediterranean fare in an entirely re-imagined seaside setting, along the quarter mile golden crest of sand of famed Lemos peninsula. Astir and Nice-n-Easy have spared no expense in the new concept, and the new, highly designed space will feature exclusive menu items and cocktails inspired by its environs. The striking 240-seat beachside restaurant will have interior seating and an expansive terrace for al fresco dining, lounging and sunset drinks. The brand new beach garden and lounge with its own dedicated bar, will certainly hail as the hottest place in Athens to gather from noon until late night. The space combines natural sand and grass for a barefoot chic ambiance and expansive seating in lounge-worthy cabanas, statement chairs, accented by a fire pit, shisha bar and cigars on offer. Six hundred sun beds serviced by Nice-n-Easy Seaside (each with their own call button for service), assure beach goers unparalleled service with sun-drenched Aegean vibes. A full range of water and sand sports will also be available, along with a racquetball court, a spa and new retail shops. Top DJs have been called upon to create on-trend playlists suited for Astir’s relaxed, location. Nice-n-Easy Seaside will be open daily from 8am to 1am. Advance reservations are recommended. Yacht catering and special events such as weddings are also available.